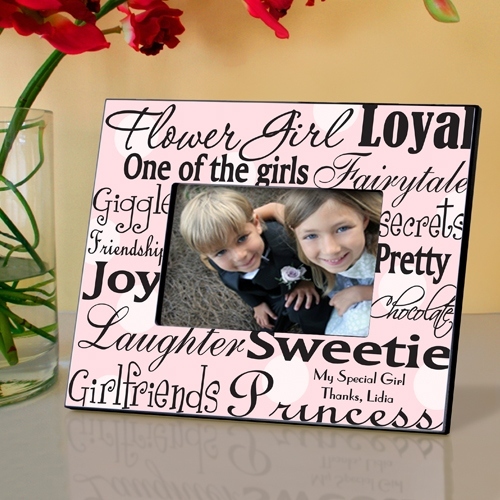 * It's not every day that a young lady gets to participate in a fairytale occasion! 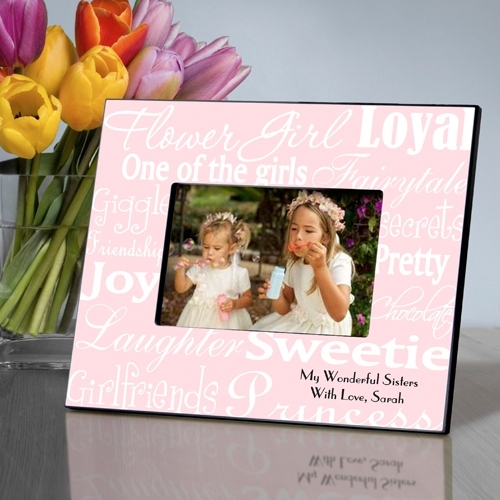 * Honor her role in your wedding and help her remember that special day with this attractive personalized flower girl picture frame, available in seven colorful styles. 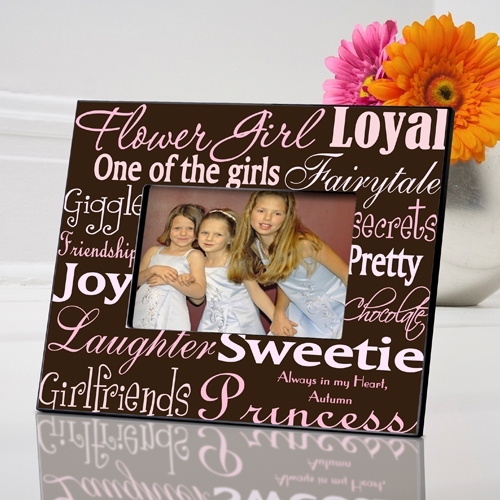 * Choose her favorite color or one that fits your wedding theme. 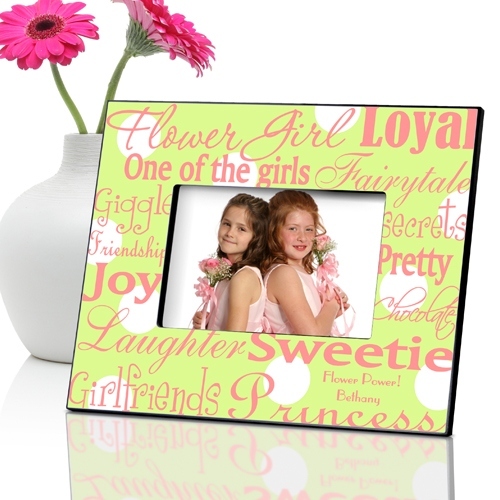 * These personalized frames make great flower girl gifts or are the perfect post-wedding surprise for your flower girl.